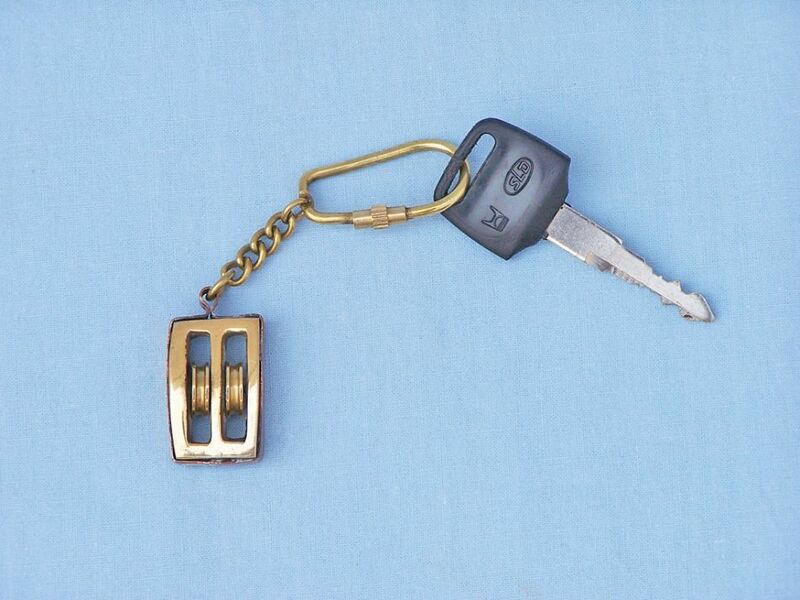 This nautical-themed key chain, featuring a brass double-pulley key fob, is both adorable and functional. Crafted from solid brass, this key chain is as beautiful as it is durable and functional and a knurled knob allows you to easily and securely add or remove keys from the ring. These wonderful key chains make ideal gifts for all. Faithfully reproduced on these brass keychains, the pulley is a simple machine that throughout history has impacted daily living in a major way. Using the basic principles of physics the pulley, or block and tackle, helps minimize the amount of force necessary to move and lift large and heavy objects. 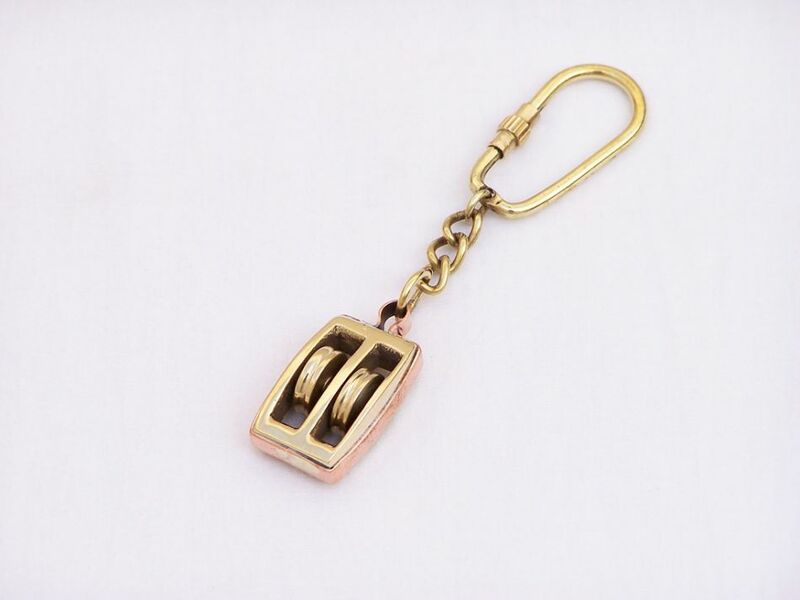 Especially important in nautical vessels, these brass keychains feature a classic pulley found on everything from historic ships to modern destroyers and luxury yachts. 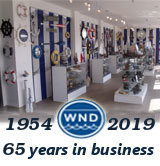 Used for raising and lowering anchors, as well as rigging sails, the pulley is found in hundreds of places aboard a sailing vessel. 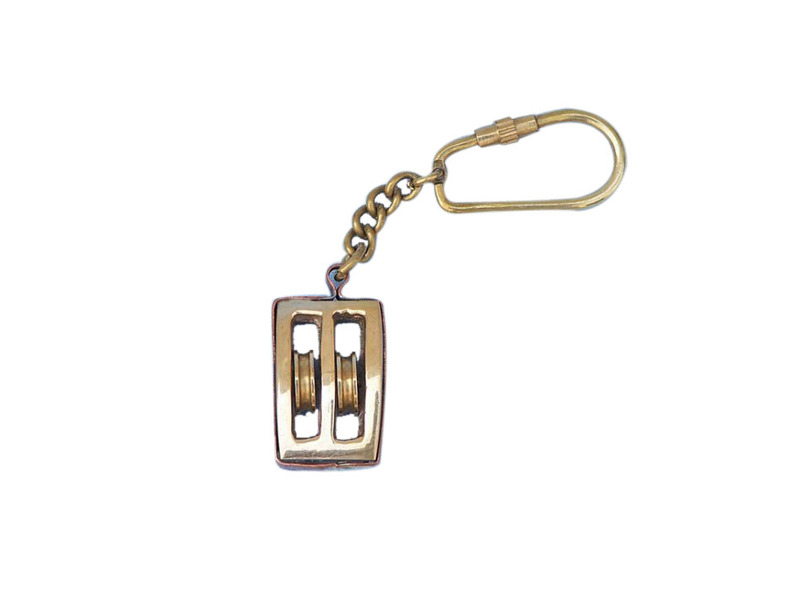 These brass keychains represent a tool that is so commonly overlooked, yet is so vital to sailing. The brass pulley on this nautical keychain makes a perfect gift for the sailor in your life, a reminder of the past, and a nod towards the future. Very few machines last the test of time, often replaced by the newer or more efficient model. With this brass keychain, holding your keys in a fitting manner, reflect on the history of sailing and about how such a minute device has had such an amazing influence.